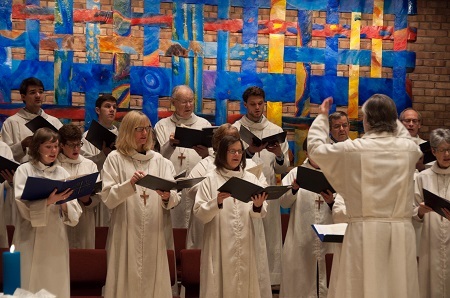 The Good Shepherd Choir is an adult ensemble that leads worship on Sunday mornings and other Festival days. New singers are always welcome. All you need to join is a love of music. Email Director of Music and Worship, Ralph Johnson, if you are interested in joining the Good Shepherd Choir.